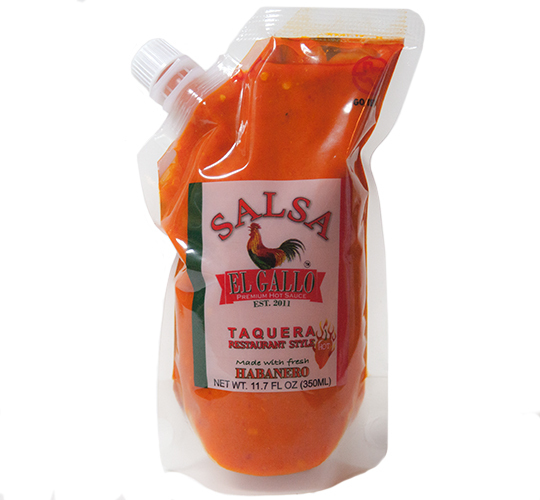 This is the hottest salsa in the El Gallo salsa line. This salsa boasts a hot-level heat that packs a flavorful punch to those who prefer extra spice. Pour on this rich salsa to brighten up your plate and infuse it with flavor. Ingredients: Jalapeño, habanero, canola oil, garlic, salt. Salsa El Gallo is an authentic Mexican salsa just like it’s made in the best kitchens in Mexico. This salsa is unique because of the steps taken to prepare the fresh peppers and other ingredients. This salsa is perfect for all avid salsa eaters.Take this salsa to your next tailgate or backyard BBQ. It’s sure to be a crowd pleaser! If you’re seeking a milder salsa that adds tons of flavor to any meal, then the Homestyle Salsa Roja and Homestyle Salsa Verde is their choice. This salsa is delicious. It tastes very similar to the salsa my husband makes, except now it’s very convenient. We’ve tried the habanero and the restaurant style salsa verde. Both are excellent work just the right amount of heat. We tend to another our eggs in both salsas even.